Halloween is just around the corner, are you in? There's no time in the year that can be more horror and fascinating like Halloween because we all will have the chance to try new spooky tricks for our friends... TEE-HEE-HEE! Traditional Halloween activities will never get old, but we have a far unique and better idea for you to play tricks on your friends - creepy prank calls using call voice changer. Call voice changer is 100% capable of changing your voice through Skype, Yahoo, Google voice chat, etc., as well as unique audio sounds which require lots of professional morphing processes. You can easily make free spooky internet calls in just a few clicks using one of the best call voice changer, or simply the pure voice changer calling for VoIP and IM applications. Imagine how your "targets" will react if they hear strange, horror background sounds with creepy voice through the phone? 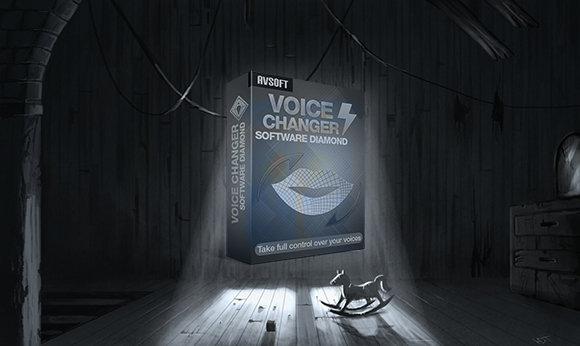 Take a look at how you can change your voice like Yoda, Optimus Prime using this program. Take advantage of its huge library of vivid sound/background effects and ready-to-use "nickvoices" to freak the hell out of your friends in any voice chat system. And of course.... you would never want to miss the hilarious reactions of your friends, so capture them well!